Joyetech UNIMAX 25 Kit is a device with built-in 3000mAh battery and 5ml e-juice capacity. 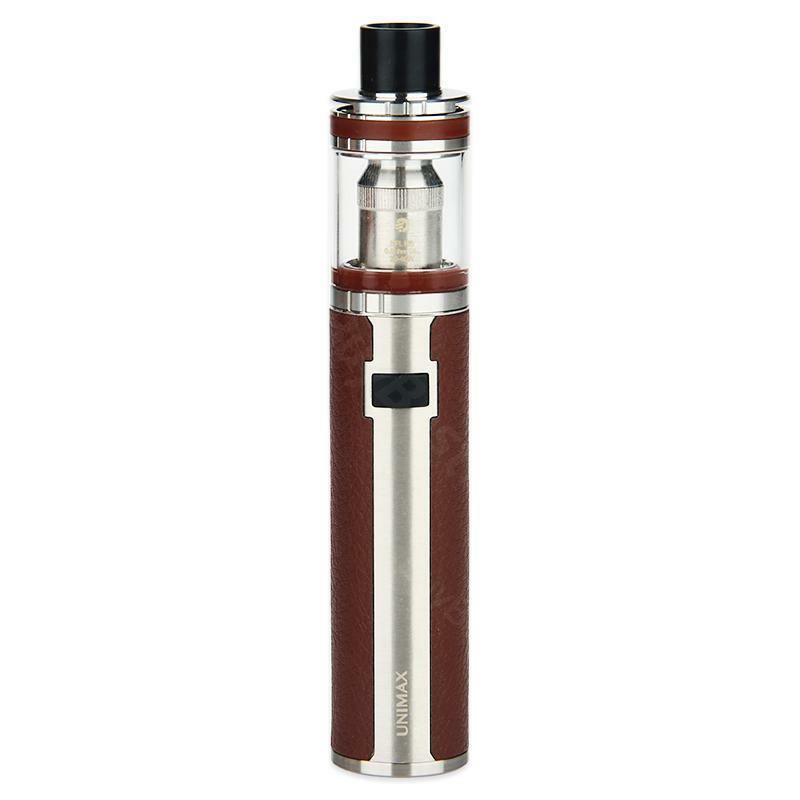 It is a simple kit for you to enjoy great vaping. Joyetech UNIMAX 25 Kit is a device with built-in 3000mAh battery and 5ml e-juice capacity atomizer. The Unimax 25 battery features direct output and constant voltage output modes and works great with the included Unimax 25 tank, UNIMAX 25 atomizer adopts the exclusive TFTA system where airflow control and e-liquid filling can be easily achieved by rotating or removing the top cap, it is a simple kit for you to enjoy great vaping. 5 colors in stock. • Compatible with BFL and BFXL series heads, BF series heads (exclude BF RBA) using with BF adapter. • It doesn't come with liquids, you shall buy it separately. Extremadamente normalito. La batería tiene un pase, aunque no indica fin de carga, el tanque no he podido disfrutarlo, ya que las bobinas son una basura, solo saben a quemado, no drena nada bien con 40 vg. Imposible de usar. Así que, tendré que tirarlo. Ahora entiendo el jugoso precio. No lo recomiendo. Perfect starter kit. Perfect delivery. This unimax 25 really has a big step compared to my ego AIO. The flavor got much thicker immediately. I'd like to keep it as a daily used one.